’Tis the season for indulgence. Between the winter holidays of Christmas, New Year’s and Valentine’s Day, tasty treats are in abundance this season. Is there a more delicious – or versatile – treat than brownies? Whether you enjoy crunchy, texture-infusing nuts, a sweet ribbon of fruity jam, or another delicious variation, brownies can take a form that will please everyone. Typically, homemade brownies use either cocoa powder or chocolate (or sometimes both) for their decadent flavor. What’s the difference between these two ingredients? Cocoa is actually a purer form of chocolate, made up of mainly cocoa solids. Chocolate has two main components, cocoa butter, which gives it its texture, and cocoa solids. Per ounce, cocoa powder packs a more intense chocolate flavor. In brownies, using cocoa powder alone makes for rich, chewy brownies, whereas chocolate yields a fudgier brownie. 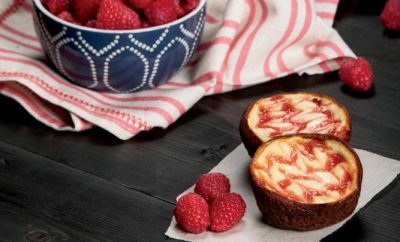 Raspberry Cheesecake Muffin Tin Brownies feature a rich brownie crust that’s topped with a cheesecake filling swirled with raspberry jam. 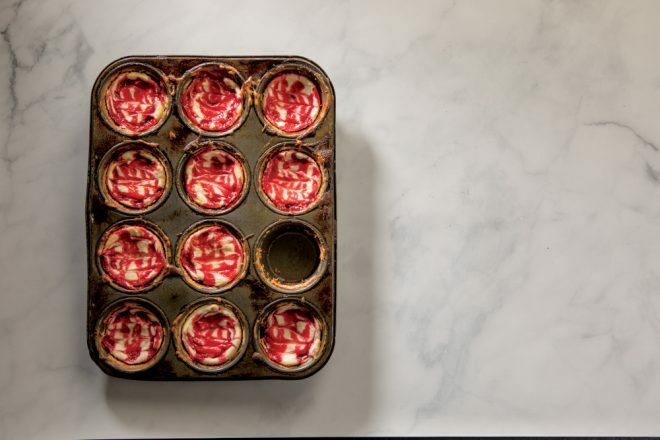 If you’re not a fan of raspberry, you can always substitute a different flavor jam. 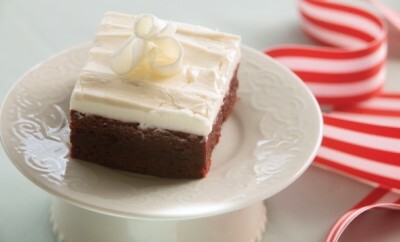 And don’t forget to wash your brownies down with a cold glass of milk!